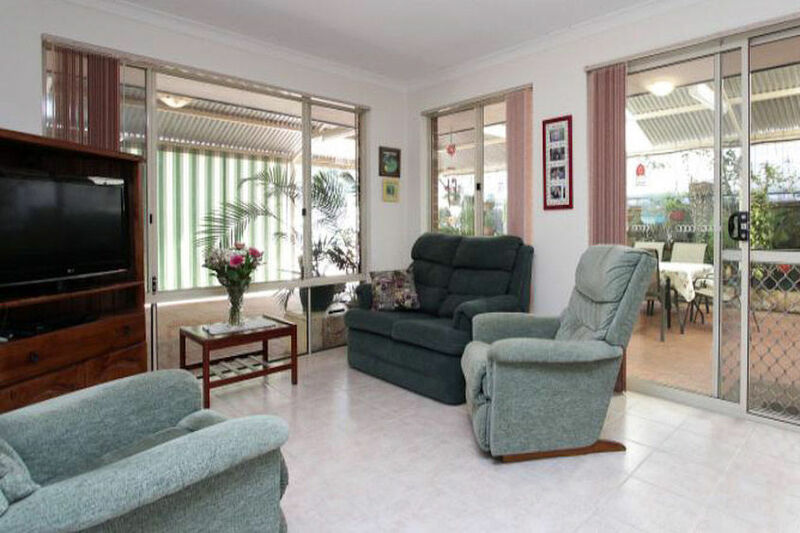 A well presented 4 bed 2 bath home with open plan kitchen / dining / living and a second separate lounge. 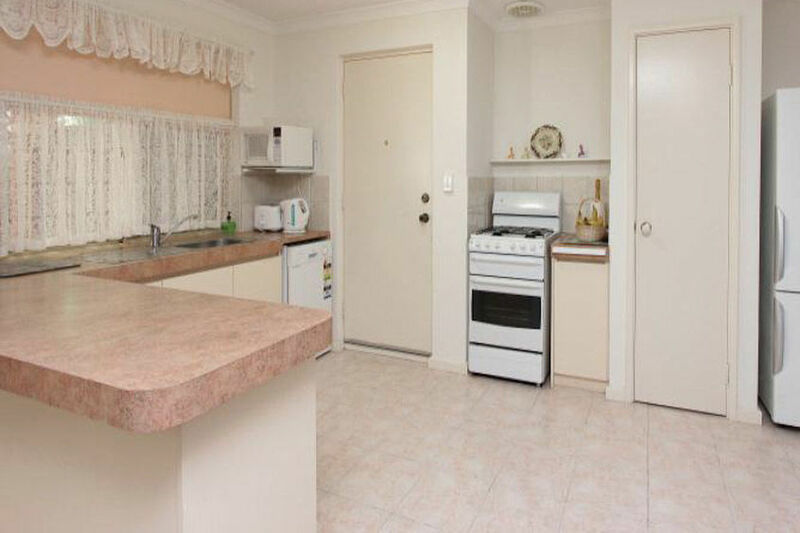 Evap aircon throughout, reverse cycle aircon in open living, dishwasher and roller shutters. 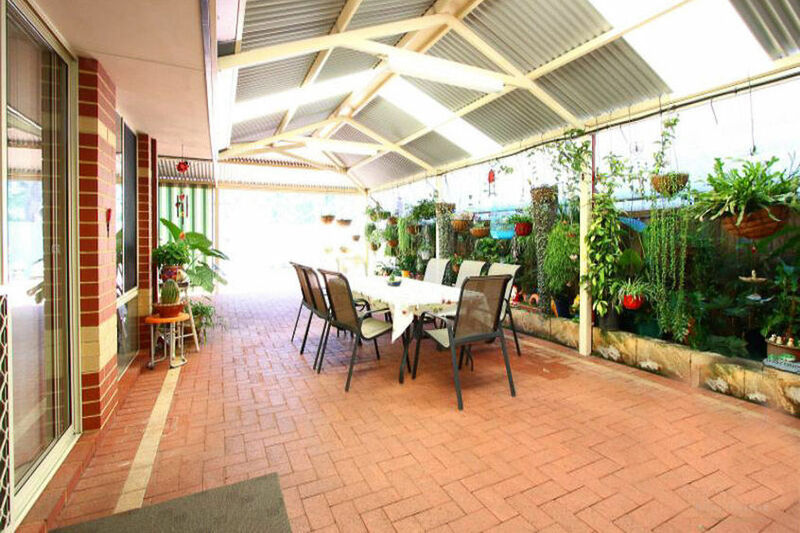 Massive outdoor entertaining with a large gabled patio contribute to the approx 250m2 total area under roof. 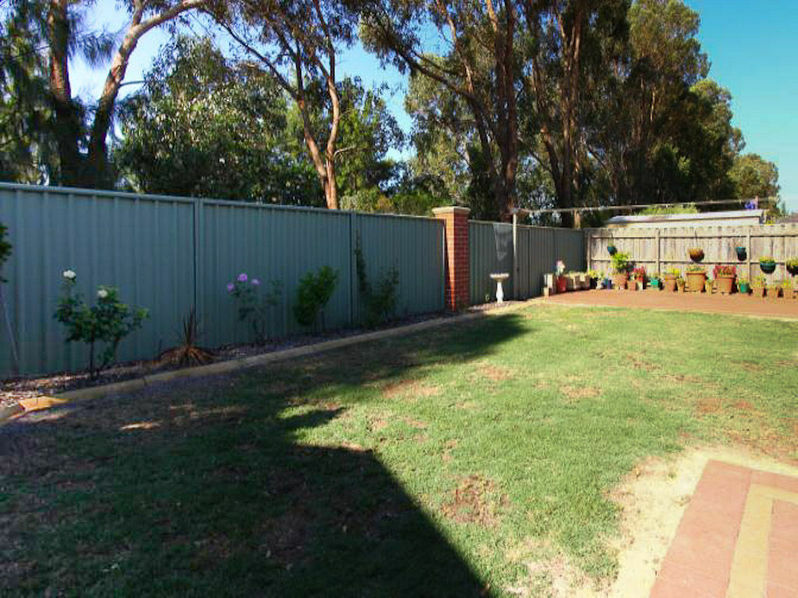 From the driveway there is rear drive thru access and bore reticulated gardens. 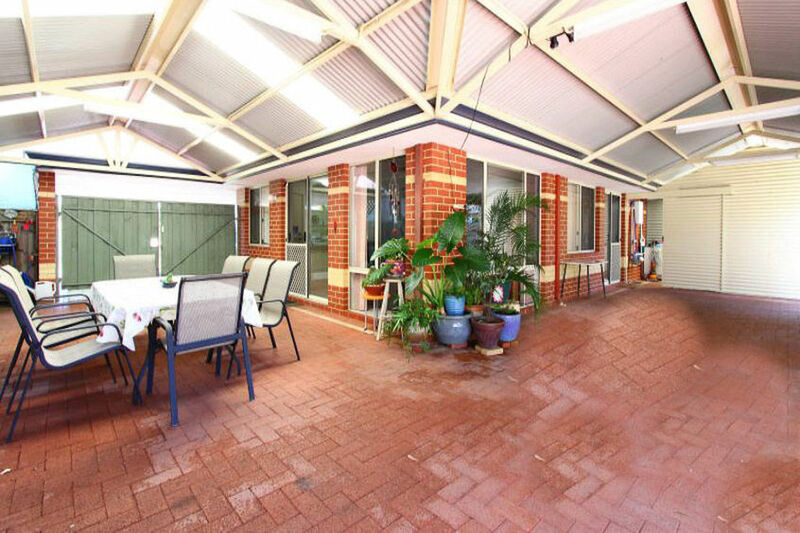 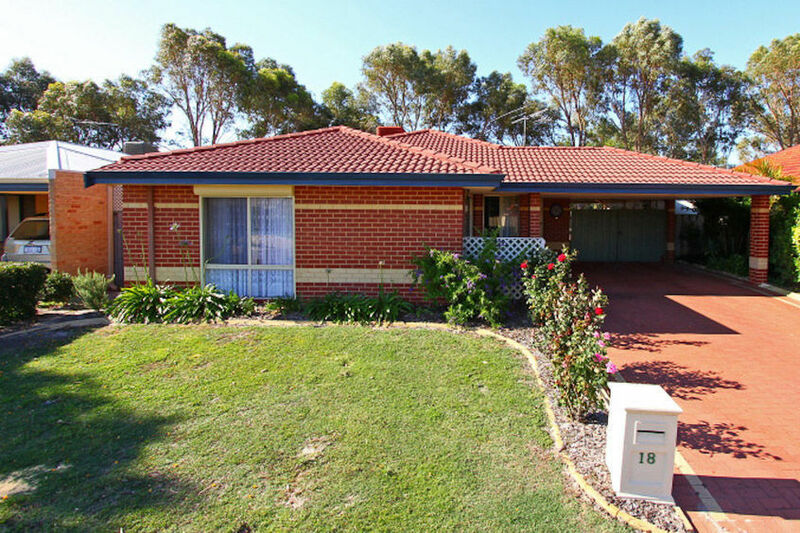 Surrounded by trees and nice gardens on a street with local traffic only, with a short walk to parks, local shops and the Canning Vale primary school.